Around 400 guests attend a gala Festival Launch on Saturday August 17, 2013. Master of Ceremonies Dominic Brine introduced Cr Samantha McIntosh and Festival Director Jeff Moorfoot who both commented on this year’s event. 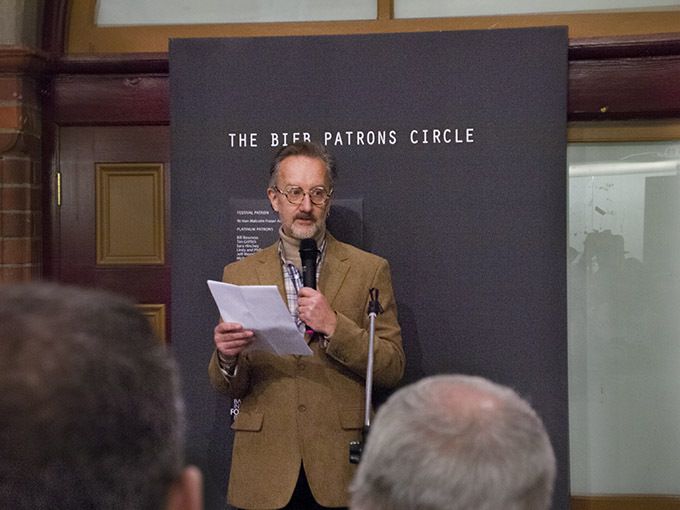 The opening speech was presented by former Director of the Australian Centre of Photography, international curator and commentator on photography – Alasdair Foster. 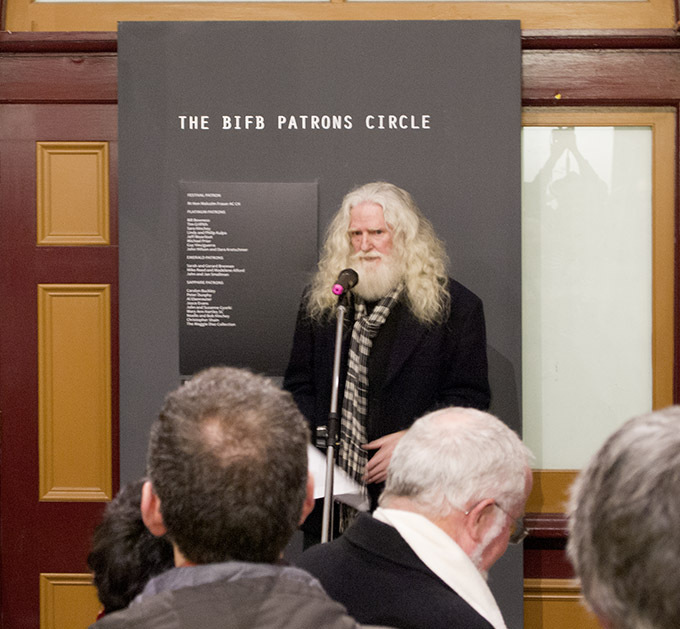 It is a great pleasure and honour to be opening the 2013 Ballarat International Foto Biennale. Look around you. Look where you are standing. For tonight you stand at a global nexus. A meeting point of many cultures and conversations. Today, photography is our most international and effective mode of expression and communication. An art form supreme in its breadth of engagement and influence in the world. A medium of creativity and of the people, which crosses cultural and linguistic borders and has the potential to bring us closer together. Photography is the art form of the people because it ultimately belongs to the people and not to one class or coterie. It is an egalitarian form in which there is a place for everyone. 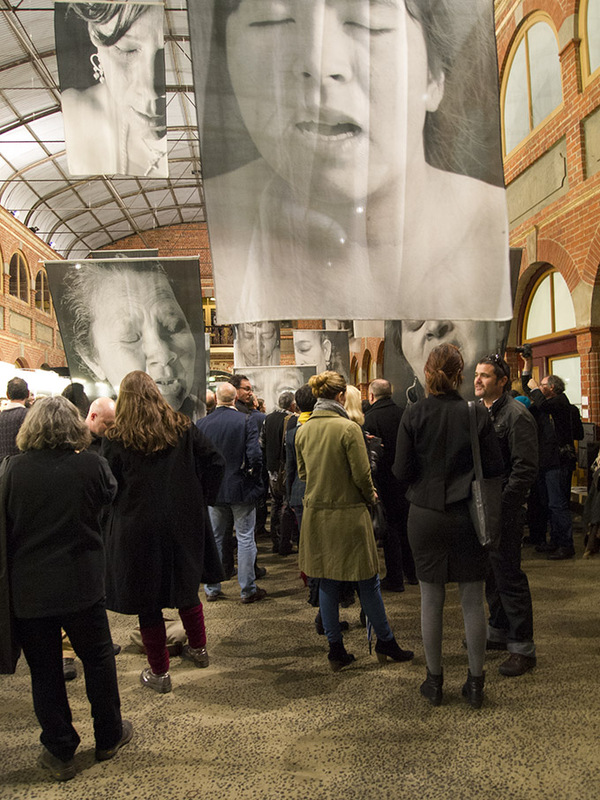 But Ballarat Biennale is more than just this event. It is a highly proactive builder of networks. It now has two free online magazines: one focusing on images, the other on writing about images – subscription is free, just go onto the website and sign up to receive each issue. 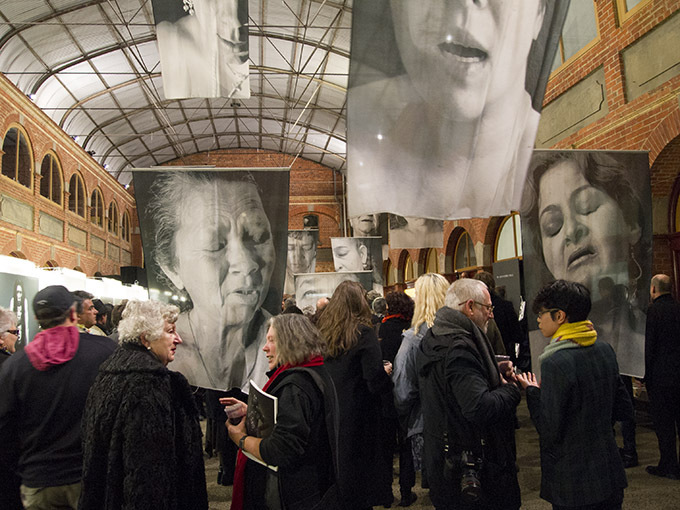 Ballarat Biennale is the only Australian member of a network of photo festivals that spreads across Europe and the Americas, linking activity here with that undertaken in many other communities (large and small) on the other side of the globe. Inspired by that model, Jeff Moorfoot initiated a new network in our greater region: The Asia-Pacific PhotoForum or APP. It has grown over a few short years until now, when it meets in China this September, the membership spans Australia, Bangladesh, Cambodia, Colombia, China, Guatemala, Korea, New Zealand and Thailand. The Asia-Pacific is the region of the future, as markets and global focus shifts from the Atlantic to our own back yard. It is a region of significant diversity, and initiatives such as the PhotoForum are important ways, not just to further the interest of those who love photography, but to build an atmosphere of cultural sharing, empathy and mutual respect for difference. All this from one small organisation with a big vision and an even bigger heart. And you, who make and appreciate photography, are the beneficiaries. In 1598, if you cast your minds back, Dutch sailors landed on the Island of Mauritius and found to their delight a large flightless bird that was easy to catch and delicious to eat. From then on a visit to Mauritius meant a slap-up meal for free. Fifty years later the sailors were scratching their heads, why were there so few birds these days. Where had they all gone? By 1662 the bird was extinct. The bird was, of course, the dodo. There was nothing wrong with the dodo. Quite the reverse. It was a marvel of adaptation to its surroundings; part of a thriving ecology. The problem arose when people came along who only took and did not give back. The result was irrevocable. There is no such thing as a free lunch. And, if Ballarat Biennale is to flourish, it needs your support. The festival draws together a wonderful, egalitarian, local–global community. Its survival is a matter of solidarity. There is much you can do. Something to match every circumstance. Membership of the festival is a mere $40 per biennial cycle. $20 per year. Everyone can manage that. So I urge you to join up and tell your friends. It is, quite literally, the least you can do. The Biennale offers you the best deal around to acquire the status of a Patron of the Arts. For less than the cost of one soya latte a week you can become a Sapphire patron. Rising through Emerald to the status of Platinum for no more than the cost of a couple of boozy lunches with friends. And you can lobby. It is your democratic right and your cultural duty. It’s election time. Write to the candidates standing in your area. Make it clear to them that Ballarat International Foto Biennale is, for you, an election issue. Write to the State. Send letters of thanks to the Mayor for the continuing support of the City of Ballarat. Suggest an increase. We can all do our bit to ensure that the event that brings so much joy and inspiration; that celebrates the local enriched by the global; that reminds us that our culture is something in which we all have a share, continues to flourish. So, in declaring the festival open, I would propose a toast. It is a toast of appreciation to the photographers, the funders and sponsors, the volunteers and to Jeff Moorfoot and his tireless team. And it is a toast to you, its supporters. The success of the festival is in your hands. Thank you Alasdair for passing on your text to be published in this blog post. The photos are licensed under a Creative Commons Attribution-NonCommercial-NoDerivs 3.0 Unported License. 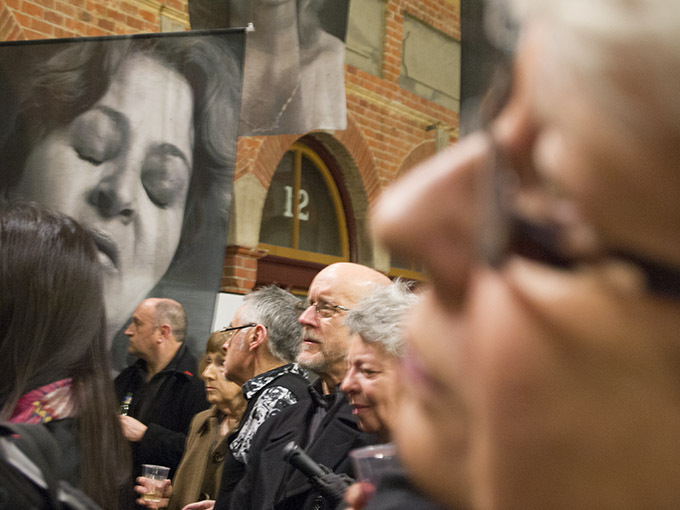 Lovely shot of concentrating faces at BIFB opening against the passionate face of one of Erika Diettes’ striking banners!